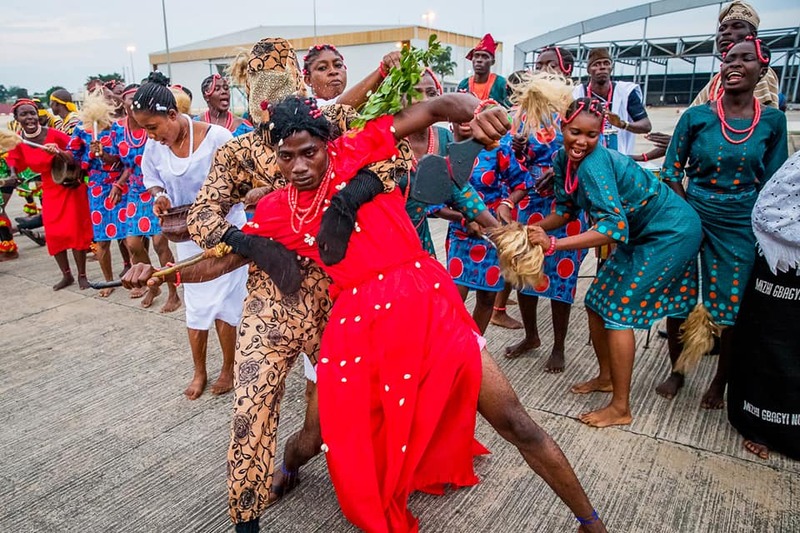 President Muhammadu Buhari was given carnival like reception at Nnamdi Azikiwe Airport, Abuja on Saturday as he return to Nigeria after 10 working days holiday in London, United Kingdom. Many enthusiastic supporters of the president stormed the Airport to welcome him back to the country. 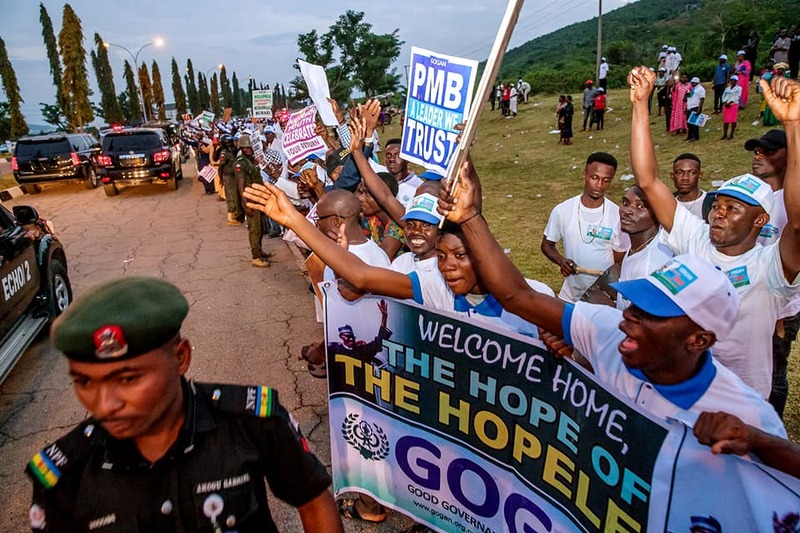 Some groups entertained Buhari with different cultural performances while others wore branded T-shirt with inscription of President’s re-election bid in 2019. Kogi State Governor Yahaya Bello, Secretary to Government of the Federation, Boss Mustapha and some top government officials were on ground to receive the President.